Two minutes away from Shimokitazawa's north exit is a red door that leads you into a world where the mix of American garage feel, 50's styles, and Mexican articles send your senses for a spin. The store is PSYCHO APPAREL, which opened in October of this year. 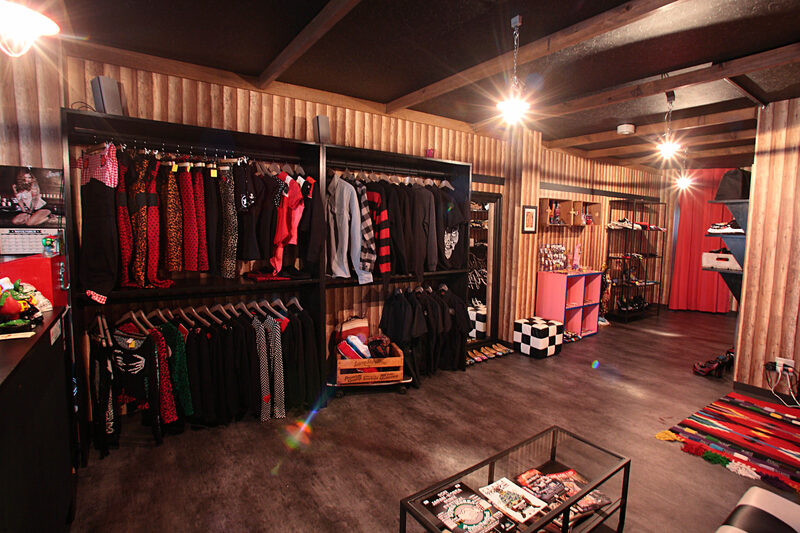 The store is filled with cool punk and psychobilly items that are brought in mainly from the UK and US, and that are hard to come by in Japan. There's also a good selection of cardigans and hoodies that can be worn year-round. They have ladies' clothing, men's clothing, and a variety of colorful Mexican merchandise. Fans can check their blog to see what new items have come in. PSYCHO APPAREL caters to everyone who loves clothing, music and the old culture.